It's one of my favourite Sydney events and it never disappoints. 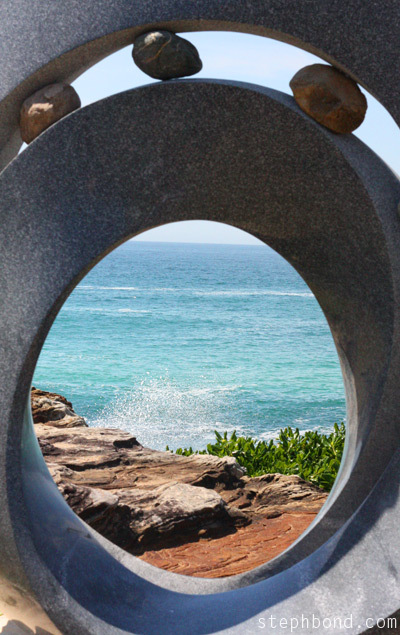 This year's Sculpture By The Sea open-air art show from Bondi Beach to Tamarama is again peppered with great artworks against inspiring scenery. 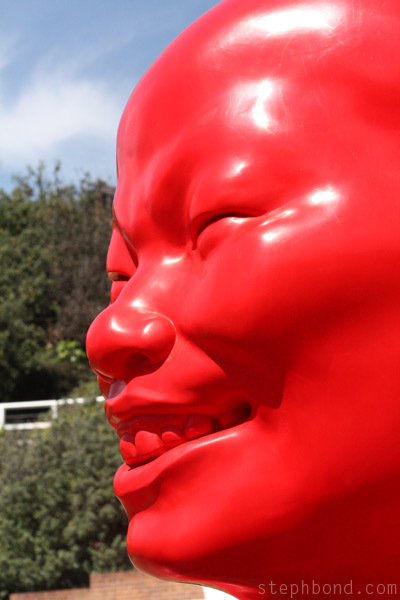 There are more than 100 sculptures from Australian and international artists along the 2km ocean-side walk. 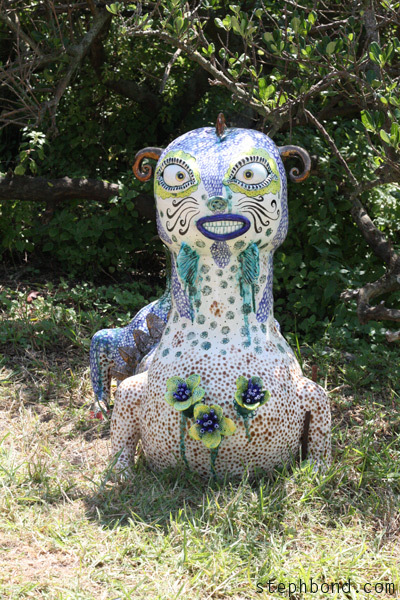 Sculpture By The Seas is a great walk to do with kids (although not exactly stroller-friendly - take a backpack). Try to choose a cool time of the day and avoid the weekends for optimal viewing. Or you can go on a hot Sunday morning (like us) to battle the crowds, find a rare car park and have weary children call a time-out before you reach the half-way mark. Oh well - it just means we'll have to go back again. 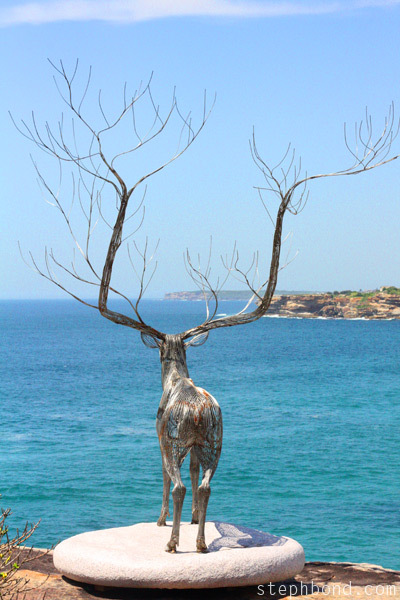 My favourite piece was the stag looking out to see "I have been dreaming to be a tree ... II" by Byeong Doo Moon. The kids loved the Easter Island heads at Tamarama Beach "heads up" by Steve Croquett (I'm hoping not just because they are on the Zingzillas show). Did you have a favourite? 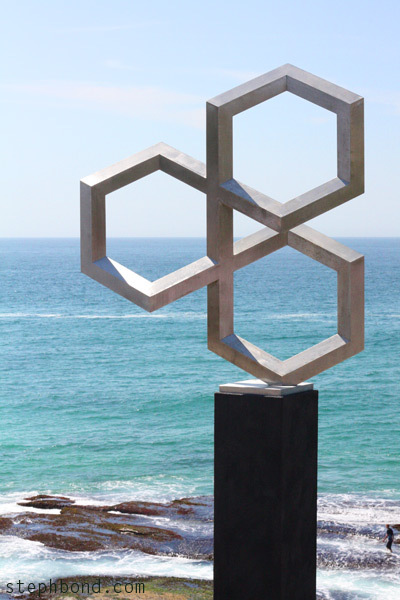 Sculpture By The Sea, Bondi, NSW, runs from Thursday 3rd November to Sunday 20th November 2011. Entry is free. For more details visit the Sculpture By The Sea website. Wonderful, wasn't it? We too had a brilliant day, although we only made it to the top of Tamarama, having walked from Bondi, before the poor children wilted in the Sunday's heat. Must go back and catch the rest. Robyn - sounds like we had a similar heat-induced experience on Sunday. Glad you had a chance to go. Cate - can't wait to see your photos of them - will be gorgeous. Dina - glad you like! Did you get a chance to go?